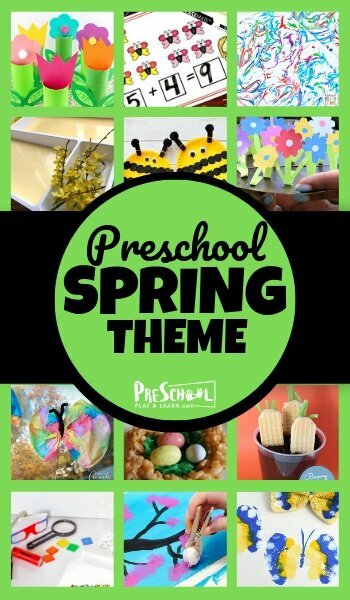 Kids will have fun learning math and literacy with free printables and clever crafts in this FREE Spring Theme for Preschool. Read a different book each day of the week, Monday through Friday. Or read your favorite book (s) each of the week. Don’t worry about boring your kids as they love repetition so don’t worry about boring them! Make an indoor garden with these delightful toilet paper roll flowers. Painted Flower Craft for Kids – beautiful! Play this fun spring board game and count to 20! Is your child fascinated by worms? Then they’ll love this All About Worms Printable Pack!